2. Click "Mail Checkup" (Figure 1). 3. On the right side of the "Mail Checkup" page uncheck "Notification" check box (Figure 2). 4. 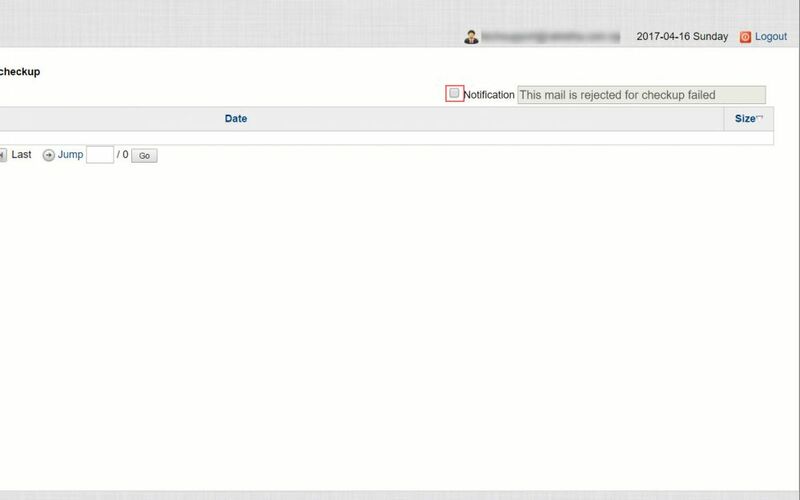 Now, you can reject any and all emails without sending notification to the sender. 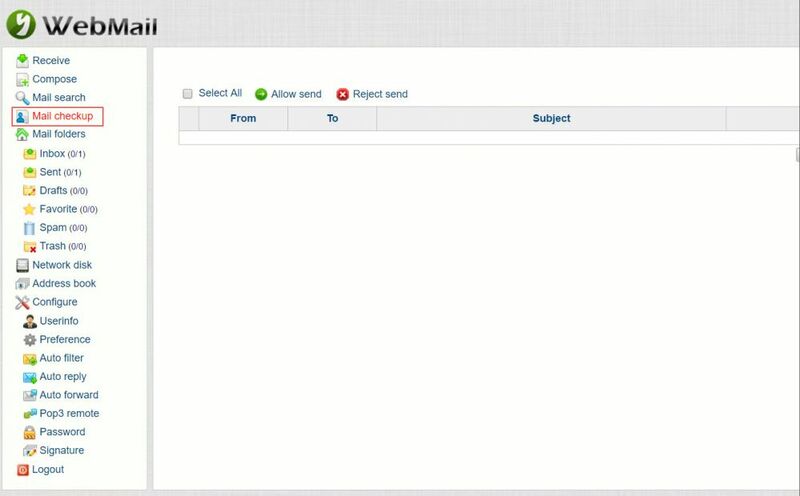 How to allow/reject outgoing emails?